"Tall and fluffy. 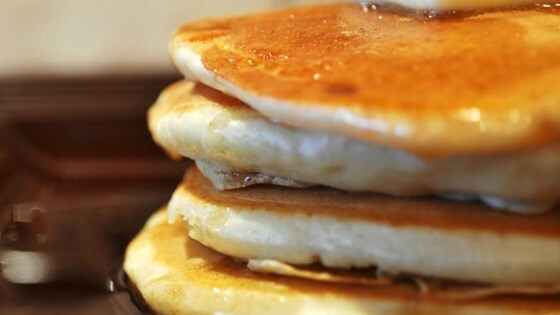 These pancakes are just right. Topped with strawberries and whipped cream, they are impossible to resist." I have been using Alton Brown's pancake mix recipe for the past few years and I didn't think pancakes could get any better. I was wrong!! These are outstanding!!! Thanks for the recipe!! !